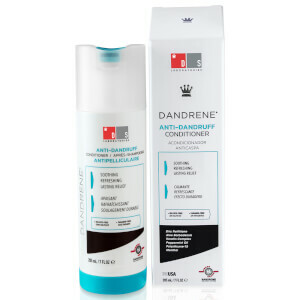 Treat dry, itchy and flaky scalps with the Dandrene Conditioner from global leaders in developing high performance personal care products, DS Laboratories; a revolutionary multi-purpose conditioner that provides anti-dandruff staying power throughout the day. Suitable for all hair types, the targeted formula delivers long-lasting soothing effects, whilst aiding in the elimination of flaking, irritation, grease and odour associated with dandruff. Leaves hair with a brilliant shine and increased manageability. Massage into hair and scalp and leave for 2-3 minutes before rinsing thoroughly.